Quickstep has signed a $75 million agreement with US aerospace company Lockheed Martin for the manufacture and delivery of wing flaps for the C-130J Hercules transport aircraft. Under the agreement Quickstep will supply 120 sets of C-130J carbon-fibre wing flaps through 2018 at a rate of approximately 24 sets per year. According to the media release, the value of activities under the deal which is worth $75 million includes previous purchase orders announced by the company. Managing director Philippe Odouard said they are delighted to sign the deal with Lockheed Martin, which gave the company some certainty. “Since being awarded the tender against global competition, we have made significant progress including qualification of processes, transferring of manufacturing jigs, establishing a qualified trained workforce and commencing production. We are on track to deliver the first completed assemblies in the next few weeks,” said Mr Odouard. Each shipset includes four carbon fibre flap wings, with each flap containing more than 200 individual parts including carbon ribs, spars and skins. More than 200 tools are used in the development and manufacturing of these parts. Approximately two sets of wing flaps are expected to be delivered beginning January 2014. 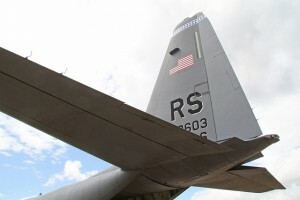 The Lockheed Martin C-130J wing flaps program is one of two significant aerospace programs awarded to Quickstep. The manufacturer of advanced carbon fibre composites is also producing components for the F-35 Lightning II Joint Strike Fighter program, the largest military aerospace program in the world, valued in excess of US$300 billion worldwide. The announcement of the memorandum of agreement signed with Lockheed Martin on Tuesday follows news from last week that Quickstep has received a $1 million grant from the Australian government through the Department of Defence’s New Air Combat Capability Industry Support Program. The grant will assist in the qualification of the Quickstep Process for manufacturing vertical tail spars of the F35 Lightning II Joint Striker Fighter. The vertical tail spars would provide stabilisation for aircraft in flight.